According to a recent news article from The Boston Globe, two people were sent to a local Boston hospital following a serious rollover car accident on Interstate 93. Authorities say the victims were an adult male and adult woman who were seriously injured when their vehicle rolled over after they were involved in a multi-vehicle accident on the Mass Pike. The accident occurred close to Exit 12 in Dorchester in the southbound travel lanes of the Mass Pike just prior to 10 p.m. First responders immediately responded to the serious rollover accident and provided immediate medical attention to the two adult victims in the upside down vehicle, and they managed to extract them. First responders then transported the two accident victims to a local Boston level-one trauma center, where they are listed as being in serious condition. Massachusetts State Police are continuing to investigate the cause of the serious multi-vehicle Boston car accident. They have not yet released the total number of cars involved, the total number of injuries, or any more information about what exactly happened. It took them several hours to complete their investigation and remove the wrecked vehicles from the car accident scene, and the Mass Pike was at a virtual standstill for a number of hours following the accident. While this is far from an official report, some witnesses speculated speeding was involving in the accident, as people are known to travel through the tunnel at speeds well in excess of the posted speed limit. Car accidents in which a vehicle rolls over are among the scariest and potentially most serious accidents. According to a recent report from NECN, a serious car accident killed one victim and left another injured. Authorities say victims’ vehicle swerved to avoid snow in the roadway and flipped over during the maneuver. One victim was thrown from the vehicle and died as result of her injuries. She was 22 years-old. A second occupant of the vehicle was also injured in the accident. She is 19 years-old and was the driver of the vehicle involved in this single vehicle accident. First responders rushed her to a local Massachusetts hospital, where her condition is not thought to be serious. Police say no charges have been filed in connection with this accident, and there is no information as to whether driver was cited for any moving violations. A father daughter duo is recovering after their vehicle flipped over as they were driving through the Thomas P. O’Neill tunnel. Luckily, there were two MBTA transit officers who were nearby who came to their rescue and saved them from their overturned car, according to the Boston Globe. Had the officers not of witnessed the Boston car accident, the results could have been tragic. The accident happened at roughly 2:00 p.m. The two officers were heading North on I-93 on their way to Woburn when they spotted the two motorists in trouble. It all happened when their vehicle suddenly shot forward. The driver lost control, slammed the car into a wall causing it spin and flip over into its roof. The father and the daughter were left trapped in their vehicle. Officers who witnessed the accident were able to use a crowbar from their cruiser to help to release the occupants. Our Boston accident lawyers understand that driving along our city’s roadways can be a dangerous task. Our city has some of the most hectic traffic patterns, with small lanes of traffic packed with plenty of vehicles. 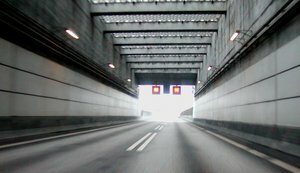 It’s important to keep your full attention on the road when driving, especially when driving through our state’s tunnels. Accidents are likely, but they can be prevented when a driver takes the proper safety precautions. Remember to keep distractions out of the driver’s seat, obey all road signs and posted speed limits and be courteous to all other drivers. We’re all in this together and we need to be cautious to help to keep one another safe. Guilfoy said that he had to cut the seat belt off of the little girl. She was in the back seat with it wrapped around her neck. After the father and the daughter were rescued from their overturned vehicle, they were both taken to a local hospital to be treated for minor injuries. Guilfoy said that once the victims were off to the hospital, it was time for their next issue, getting the traffic around the accident scene. It all caused two lanes of the interstate to be shut down. The driver involved in this accident was ticketed. -Make sure that you keep a good distance between you and the vehicle in front of you. Never tailgate. -Always obey the posted speed limits, both the minimum and the maximum. Going too slow or too fast greatly increases your risks for an accident. Obey the speed limits and stay with the flow of traffic. -Never make a U-turn or reverse. -Don’t stop, except in an emergency. Stopping is how a lot of chain-reaction accidents are started. -Turn on your low-beam headlights. Two people were injured in a recent rollover accident in Rehoboth. The accident occurred on Interstate 195 near exit 2 at roughly 3:00 a.m. Police reports indicate that the driver of the SUV lost control of the vehicle, which flew off the road and then flipped into a ditch. Both the driver and a passenger of the SUV were trapped in the vehicle when emergency response teams arrived. The Massachusetts State Police (MSP) are currently investigating the accident, according to the Providence Journal. Our Boston car accident attorneys understand that rollovers are the most common types of one-vehicle accidents on our roadways. 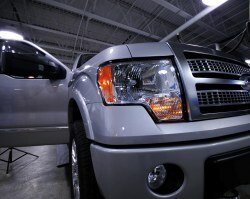 Some vehicles, including SUVs and trucks, are more likely to be involved in rollover accidents than others. 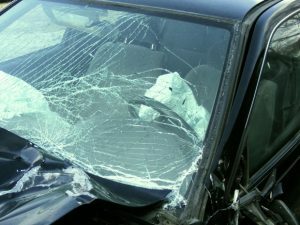 In 2009, there were nearly 8,500 people killed in rollover car accidents across the United States. These accidents are more likely to happen in rural areas than in urban areas. 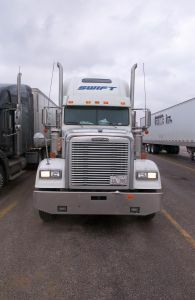 Drivers are asked to be cautious when traveling in larger vehicles. Safe driving habits can help to minimize the risks of a rollover accident. -About two-thirds of unbelted people involved in rollover accidents are completely ejected from the vehicle. -Most fatal accidents are single-vehicle accidents. -Rollover accidents are more likely to result in fatalities than any other type of traffic accident. -Rollover accidents account for about 20 percent of all fatal accidents. -The number of fatal SUV rollover accidents has more than doubled since 1991. -Males under the age of 40 are involved in the most rollover accidents. Most of these accidents happen on two-way roads without dividing barriers. -Speed is a common factor in most rollover accidents. Most accidents happen on roadways with speed limits off 55 miles per hour or greater. Drivers of SUVs are cautioned about rollover accidents. It’s these vehicles that are more likely to be involved in a rollover vehicle accident because of their weight and their height. 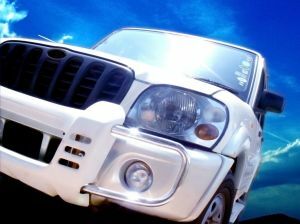 Despite passing federal safety standards created to enhance safety, there’s no denying that sport utility vehicles are more dangerous than any standard car on the market. These accidents are most likely happen, like the Reehoboth accident, when a vehicle runs off the road. Usually, something trips the vehicle, like soft ground, a roadway shoulder or a curb, and the vehicle starts to flip over. -If you’re looking at purchasing and SUV, make sure you look for a wide one that comes equipped with electronic stability control (ESC). -Be cautious while driving and avoid sudden sharp turns. -Watch your speed. SUVs are most likely to rollover when traveling at a fast rate of speed. -Keep an eye on your tires. Make sure they’re not worn and they’re properly inflated. Poorly-maintained tires increase your risks for an accident. -Never drive under the influence of alcohol. 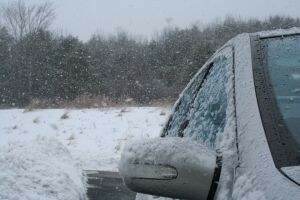 -Adjust your driving to different weather and road conditions. “We must remain vigilant in addressing roadway safety issues where the greatest impact can be made, such as distracted and teen driving. As miles traveled start to rise again from recession lows, we want to ensure the continuance of this downward trend,” says Janet Froetscher, president and CEO of the National Safety Council. Boston car accidents and accidents elsewhere in 2010 are down 3 percent from the previous year. 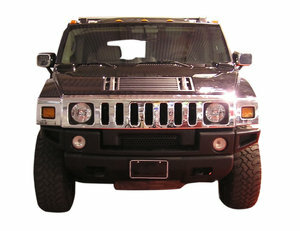 According to the National Safety Council (NSC), nearly 35,000 fatalities occurred in 2010. 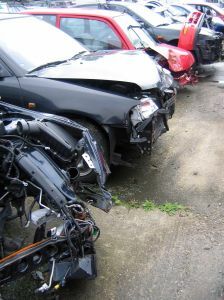 Experts credit the recession as a main factor for the decreased number of car accidents. Boston personal injury lawyers encourage you to practice safe driving habits regardless of the recent statistics. Although fatalities in Boston resulting from car accidents continue to decrease, we must continue to do our part to keep our roads safe. 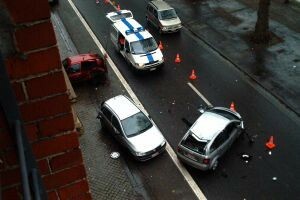 According to NSC, Massachusetts suffered 330 car accident fatalities in 2010. NSC points fingers at a number of variables that contribute to the decrease in fatalities. They start be crediting law enforcement — including laws and regulations regarding child passengers, distracted driving, teen driving and seat belt usage. Many say the reduction in motor vehicle accidents is largely credited to new state driving laws, such as hand-held phone and texting bans and seat belt laws. Motor vehicles not only cause devastating injury and fatalities to vehicle occupants, they also present a large amount of cost in medical expenses, employer costs, property damage, lost wages and productivity, and administrative expenses. In 2010, the estimate cost for car accident injuries, fatalities and property damages was nearly $227 billion, also a 3 present decrease from 2009. –DMV customer service and RMV locations. We ask that all residents and visitors continue to practice safe driving habits on Massachusetts roads in hopes of decreasing fatality rates even more.